Reason 1 – you’re in a stressful situation and want to escape it. Reason 2 – you’d like to seriously transform your business, or quality of life by growing it. First of all, transformations are definitely possible and achievable, more so than people who want one would believe. A building industry business that was operating at -7% net profit on the $3.3 Million revenue was in dire straights. In 2 months thanks to management advice it was completely turned around to be at +10% net profit by implementing 8 different strategies. That difference was the equivalent of a net profit turnover/increase or “transformation” of $561,000, the business was saved was failure and the owner had a new lease on life. A profit turnaround is one of the most popular types of transformation. 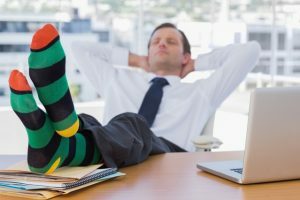 Some business owners are sick of working long hours and want a time or lifestyle transformation. An electrical contractor with 4 employees was working 80 hours per week, every week and had very little time for his family and two children, so he was looking for a time transformation. Thanks to a mentor and patience in ten months his business had grown and taken on two more tradesmen, and a ‘structure’ had been put in place that completely freed up his own time. The business owners’ time was freed up because his team stepped up to replace him with systems in place to keep them in check and accountable to KPIs. The structure worked so effectively his time reduced to ZERO hours of work per week slowly over time. This achievement took ten months of constant working on his business. While these types of results are not common, they are achievable, if you follow a certain steps in a process. If you were asked ‘what’s your business vision in 5 years’ – what would your answer be? A lot of business owners can’t answer that question on the spot simply because they haven’t thought much about it. A transformation is best to begin with a VISION of a more positive future, even if that vision isn’t 20/20 crystal clear to begin with right now. In fact it rarely is for a lot of business owners, including those two above examples. Building your vision – so it becomes much stronger is the very first and most important step of all in a business transformation. Unfortunately a lot of business owners believe they have to know how to achieve their vision, or need to be reassured their vision is achievable before they will believe in it and make their vision far more detailed. It is a leap of faith you could say, to define your vision, without having any idea how it will be achieved, and that’s a major reason why so few business owners write down their vision in clear details. You start to feel more positive towards it and it begins to become “real” in your mind. You start to feel more “energised” and positive, almost happy about it, and that is the most important outcome of building your vision. In fact, until you have these strong feelings, its an indicator your vision still isn’t clear in your mind’s eye so you need to keep working on it. The unconscious mind is extremely powerful. Research has proven it is timeless or not time dependent, in that time doesn’t apply to it. It is like a giant computer that awaits instructions and doesn’t look at the clock while waiting for them. This giant computer in our head is the world’s most powerful and we all have full access to it – if only we knew how to give it instructions to go to work for us. 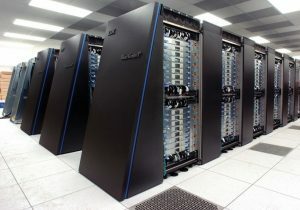 This supercomputer can significantly help to transform your business. It begins by being super clear of your VISION for the future. The conscious mind resists this clarifying of your vision step. It puts up doubts and fears, preventing the belief in the vision as it is trying to form in your mind’s eye. Fighting the conscious mind by simply being aware of it is what needs to happen. Stick with your vision development until you ‘see’ it in your mind as mental images. Only when those images become clear in your mind and positive feelings about them are activated will your unconscious mind (the giant computer) begin to be activated and like magic, the way to achieve that vision will start to be revealed, if you are open to those ways. 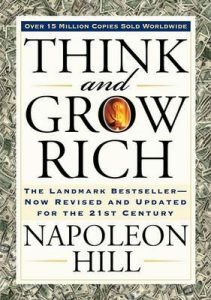 Napoleon Hill – the author of the brilliant book “Think and Grow Rich” actually interviewed not only the world’s richest 500 people, he also interviewed a total of 25,000 people on success and looked into their feelings, thoughts and actions relating to it. 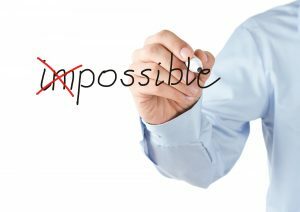 His published book is the result of that research, and in every super wealthy person, they stated their success began with one thing – a very strong VISION of what they wanted to achieve that instilled a passion or determination that pulled them towards it. They didn’t know how they would it achieve it, that always came later. The state of mind of happiness and optimism leads to clarity and awareness (just as fear and doubt reduces it). That clarity and positive energy comes from the unconscious mind too, and the unconscious mind helps to guide you towards opportunities (people, articles, news, experiences etc.) that will help you to achieve your vision. Without the VISION creating that creates the positive, happy, excited and optimistic state of mind, you rarely ‘see’ the ways to achieve your vision. This is an incredibly powerful, proven concept, confirmed by Napoleon Hill’s research with 25,000 people, yet today we are still not encouraged to dream or have a positive vision of our lives. Vision is the First Step, so What’s Next? The biggest transformation potential in any business occurs when profitability is high. If a business generates $10 Million in sales income but has $10 Million in expenses, and makes zero profit, there’s no real opportunity for growth as what’s going to cash flow it? Having a high profitability – measured as a high percentage of profit, or Net Profit Margin is super important for any business and especially smaller ones (under $10 Million revenue). 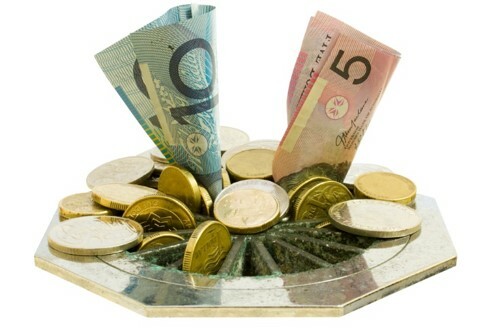 There are numerous ways to increase profitability in a business. There are dozens more strategies like these that increase profitability and therefore cash in the bank. A profit margin focus is very different to an income focus and margin is about improving all that you currently do and how you do it, whereas an income focus is about doing more of what you currently do. The best strategy to increase profitability, or the Net Profit Margin is the simplest, yet one that is not often considered the best. That’s because of the fear that is associated with it. A common fear is that if a business raises its prices, a significant amount of sales will be lost, and by significant the percentage believed to lost is often 20% to 50% or more. This figure is often “plucked from nowhere”, and is an assumption, rarely based on facts. The truth is that all businesses will need to raise prices (to avoid running out of cash from zero profitability), but those same businesses very rarely lost 20% to 50% of the clients as a result. The FEAR is usually created from the current situation. If the business has a situation where there aren’t enough consistent sales coming in every week, then the fear of losing clients (from a possible price rise) is amplified by the situation. By measuring hundreds of (traditional) service businesses, both before and after a price rise to determine the truth of what occurs by facts and figures, in over 95% of cases there was NO reduction of sales. That’s clients of because service business consider far more than just price when they purchase. Its very uncommon for service businesses with high quality sales and marketing (learned from paid-for education) to lose sales from a price rise. When a business wins the majority of its sales from being the lowest price, then a price rise may hurt that business more. Investing in an education about sales and marketing is the best way to win sales at higher prices. Very few business owners have witnessed the results of a great education on their sales income so they are typically cautious about this being an “investment”. Unfortunately people have beliefs about this subject that are not valid. Good quality sales training doesn’t turn you into an ogre that pressures people into buying, after annoying them by monologuing at them. In fact, the exact opposite is what sales training is about. Quality sales training is about building rapport, asking loads of questions to fully understand the person, what their needs are, their interests, fears and concerns and after listening intently they feel cared about and often ask what is recommended for them. This is how going to a doctor works. They “diagnose” the patients issue after listening to answers to dozens of questions. You don’t feel like you’ve been to see a pushy salesperson when you visit the doctor, and that’s exactly how prospects feel after being asked questions as a sales process. Like anything in business, if you’ve had no professional training on anything you’re not only likely to struggle a lot, you’re also missing out on huge income and profit benefits from professional training or mentoring. Another way to increase profitability to create a business transformation is through marketing. Business owners regularly pay for marketing (thousands of dollars for a new website every 4 years etc.) – but rarely pay to learn marketing. Not paying for an education makes a business very vulnerable to guessing with their marketing service providers, and that can be extremely expensive. 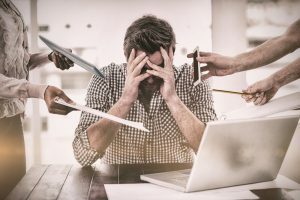 Ignorant business owners businesses’ miss out on huge increases in income, sometimes in the order of multiple millions of dollars. Multiple millions of dollars is the actual increase that has been witnessed by businesses as improvements after sales and or marketing training that have invested in education. With any important skill in business, a lack of education will hold the business back from being more profitable. Sales and marketing education or training is the same. With sales and marketing education sales and profitably increase. That puts more cash in the bank to fund further growth. How fast and far do you want to grow your business? With more cash, an extra employee to take up your own time and tasks can be hired. With 30 hours of your time freed up, would that be a ‘transformation’ for you in your life? Those 30 spare hours put into growing your business could be enormously beneficial. What if you all your business growth and management challenges, with employees, cash flow, lead generation, and your time could all be overcome? What vision would you have for your own business in 5 years? Transformations can and do occur for businesses based on all of the above. There are dozens of real businesses that have already applied these strategies and experienced transformations. The question becomes, what is your vision? Do you need help to create it and to accelerate your success towards it? If you’d like assistance with growing your business, check out one of our business courses online, that focus on building your vision and increasing net profit margins (by 5% to 20%) to transform not just your business, but also your quality of life. Are you ready for business transformation?